My mom used to say that about human communication, and this past week we’ve been discovering why her advice applies to artificial intelligences as well. 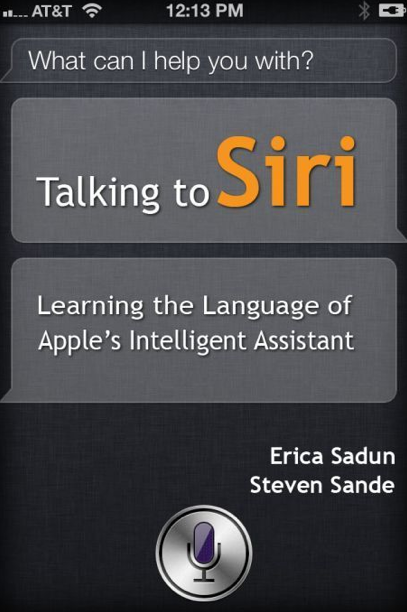 If your experience with iOS 5’s Siri voice-recognition technology has been less than optimal, you might want to check out Talking to Siri, Steve Sande and Erica Sadun’s new Kindle-format ebook ($4.99). The book, like Sadun’s recent posts at TUAW, is full of step-by-step instructions for using Siri for things like navigation, online shopping, and even dictation. For instance, I learned that Siri is always willing to give you a second chance if your initial comment didn’t get results. Just tap the bubble with that first comment and then use the keyboard to type in a correction. Or, tap the bubble, then tap the microphone, and give talking another try. Why should we bother to learn to talk to Siri? For one, Forbes predicts that Siri is poised to overtake Google’s voice-activated apps, based on its superior voice recognition technology and its ability to learn based on experience. For another, it sure beats texting with your thumbs. This entry was posted in iPhone 4S and tagged Erica Sadun, Forbes, iOS 5, Siri, Speech recognition, Steve Sande, Unofficial Apple Weblog. Bookmark the permalink. Siri is the first voice recognition software that actually works. It’s a God send. I use it constantly. If there’s anything I like about iPhone 4S, it’s the Siri feature.